Bonchasse Land & Cattle Co., LLC (“Bonchasse”) strives to pair the best sires and dams in pursuit of producing the most ideal offspring. 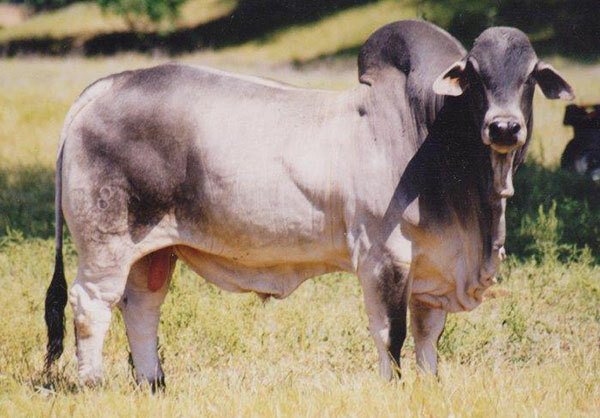 Since 1996, we have purchased, bred, and utilized some of the most elite and noted genetics in the Brahman breed. Breeding the “right kind” of sire is our first priority. The “right kind” means structurally sound, moderate-framed, deep-ribbed, heavy-muscled bulls with noted pedigree and leading EPD performance. We understand sire importance and are not willing to compromise quality at any point. 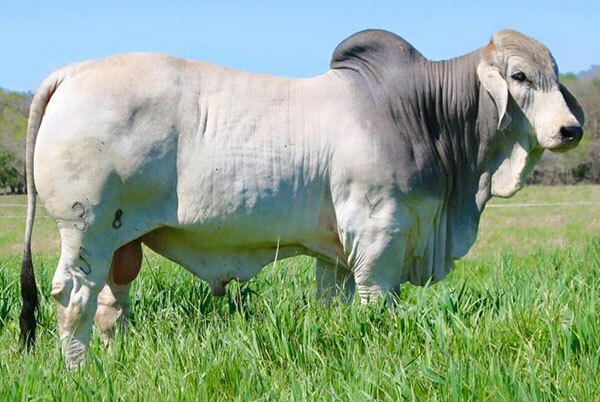 If you are in the market for a herd sire to produce Registered Brahman offspring or F-1 females, a bull purchase from Bonchasse will have passed the strictest requirements and is backed by some of the Brahman breed’s most proven and progressive genetics. Our herd sires include +Mr. V8 789/4, JDH Sir Abbott Manso 38/5, Mr. V8 268/7, JDH Mr. Southern Manso 998/1, MSP Esto Imperator 402/1. 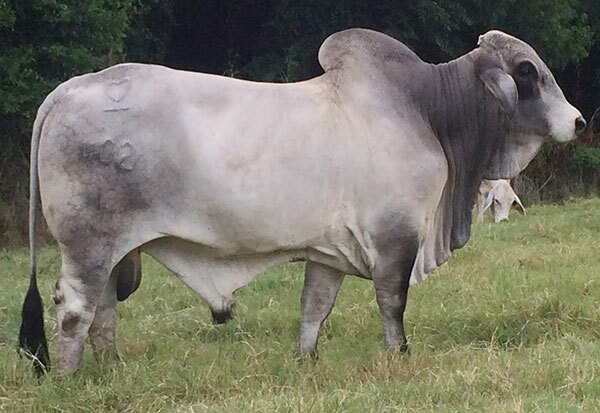 JDH SIR ABBOTT MANSO 38/5 was purchased as our pick of the J. D. Hudgins Spring 2016 Bull Sale. 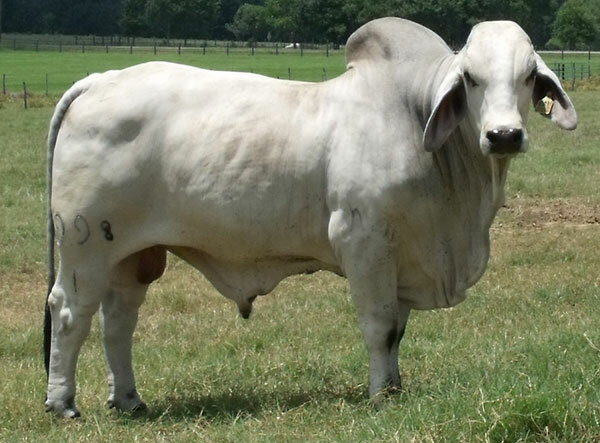 He is a powerful son of the National Champion and Global Brahman Icon, +JDH Mr. Elmo Manso and out of a proven (+) JDH Sir Liberty Manso daughter. He is structurally sound, heavy-muscled, long-bodied, gentle, and a low birthweight bull. 38/5 exemplifies the quality that we utilize to improve our herd. Mr. V8 268/7 is a son of +Mr. V8 380/6, the leading producer of show ring winners and performance-oriented cattle alike. 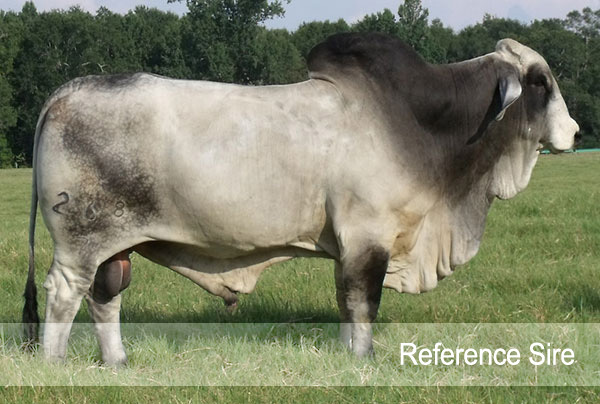 268/7 is an extremely eye appealing bull that is heavily-muscled, attractive, and phenotype-balanced. He expresses massive breed character and, most importantly, is structurally correct from every angle. JDH Mr. Southern Manso 998/1 was our pick of the J.D. Hudgins-Leslie Hudgins Division’s 2013 Spring Calf Crop. He is a low birthweight and high growth sire who transmits this into his calves. 998/1 is a son of +JDH Lawford Manso 616 who has sired over 20 herd sires for J.K. Hudgins, Inc. His dam combines show ring appeal with maternal performance being sired by JDH Eastman Manso and out of a Maternal Merit Award dam sired by (=) JDH Westin Manso 80/1. The calves from 998/1 are exceptional being fast growing, heavy muscled, deep ribbed, and eye appealing. A “Beefy” bull from the legendary Partin & Partin Heart Bar program that thrives on grass and produces the type of functionality we strive to produce in our herd. His outcross in genetics will enhance the versatility of his progeny.